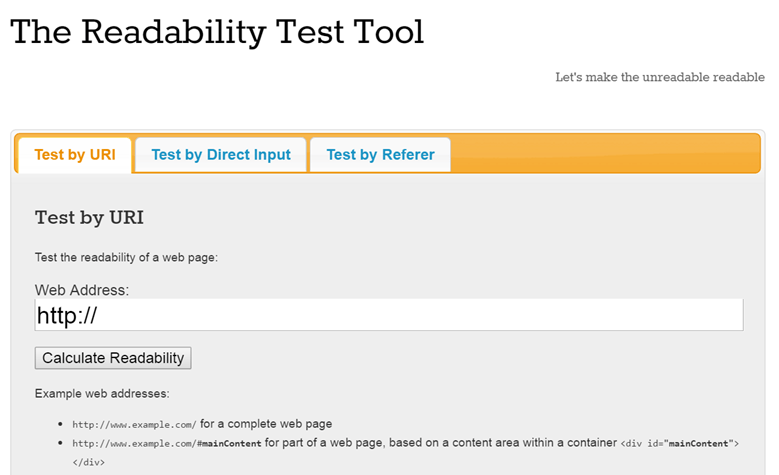 The numbers run from 01 to 29 (Usability Tools) and 30 to … (Visibility Tools). Following every Tool Number is a “U” or “V” – these indicate whether it belongs to the Usability or Visibility groups. The last letter of the tool number shows its level of complexity. Simpler tools are easier to use, but provide less information. “S” indicates a simple tool which normally runs in one screen only. “M” indicates medium complexity, while “C” identifies complex tools. Complex tools may require more interaction and prior knowledge from the user, but provide more detailed results. 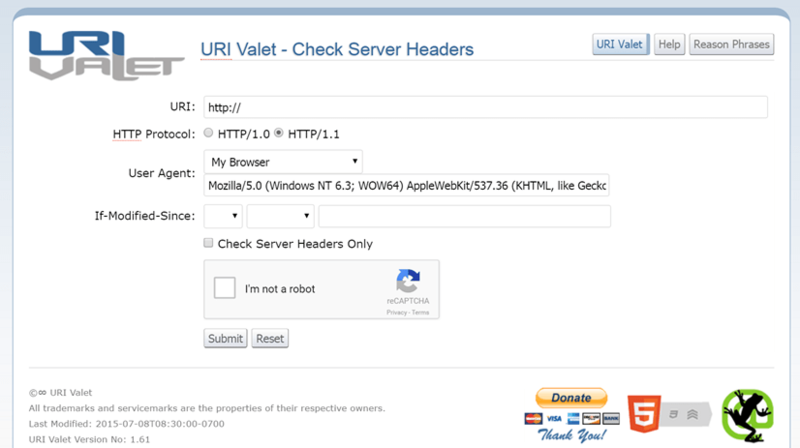 Get an indication of the reading level required by a human browser when facing the text on a webpage. 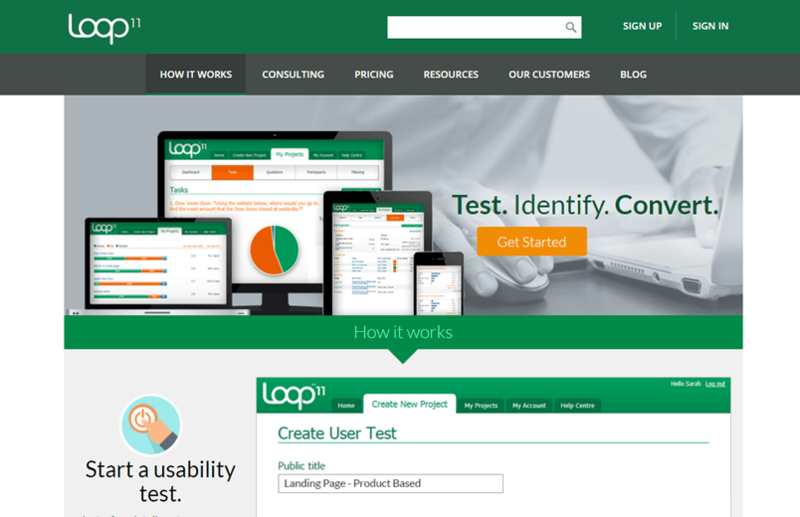 A program that allows you to set up user testing on a website. 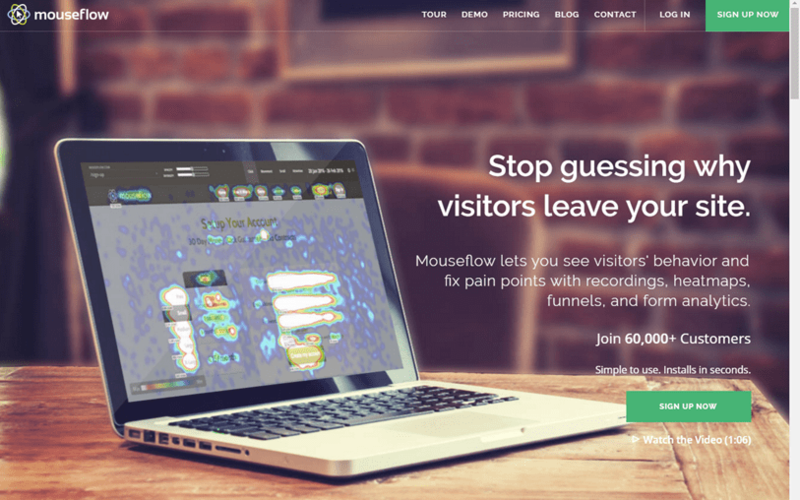 A program that tracks mouse clicks, mouse movement and scroll behaviour. 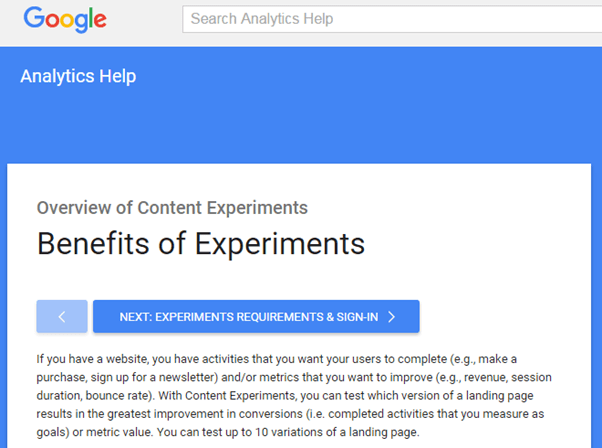 A program that enables you to set up Content Experiments based on Google Analytics. 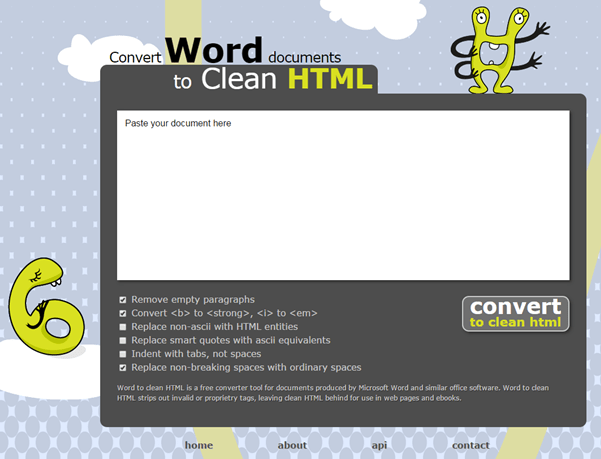 Word to HTML convertor – solving the problem of copying Word doc content and pasting it into HTML files. 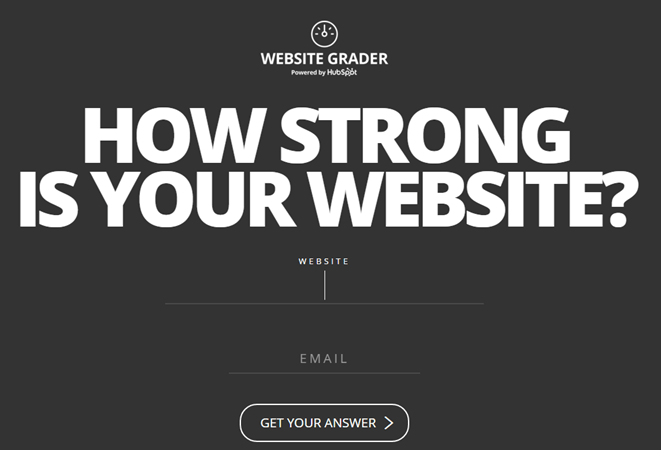 A program that compares the content of your website to others on the Web. 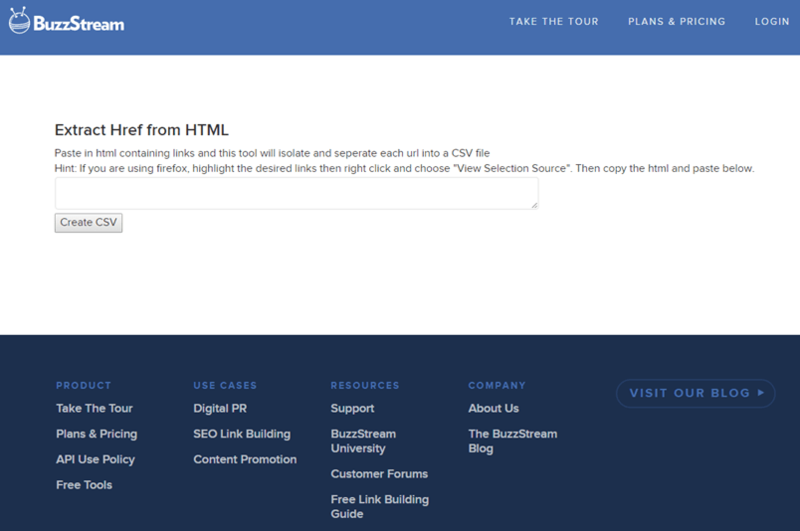 A program that compares the content of two supplied websites to each other. 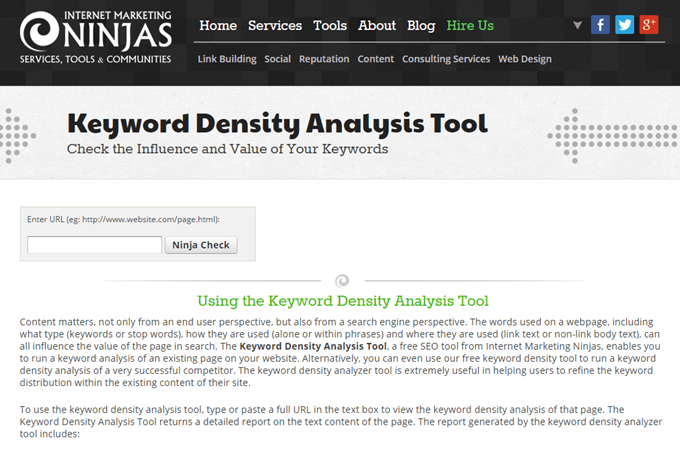 A program that measures keyword density, based on supplied text and sample keywords. 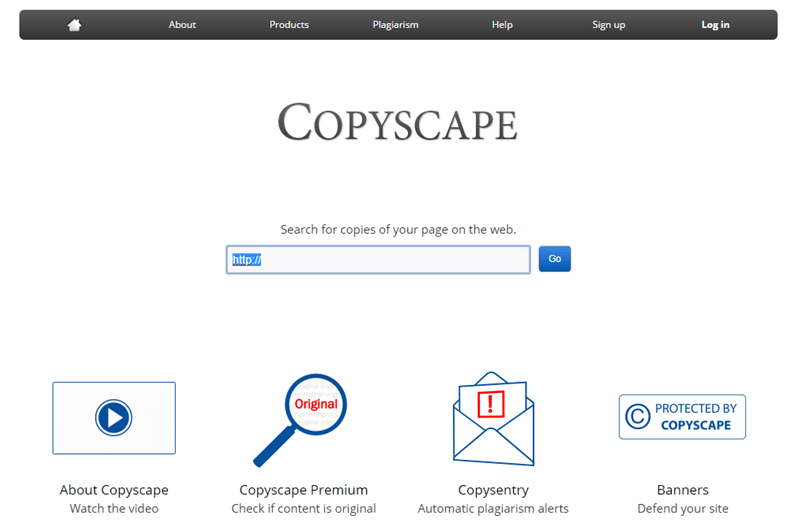 A program that rewrites articles as content for webpages. DO NOT USE the output of this software as webpage content, or in any other way which will present it as original content! 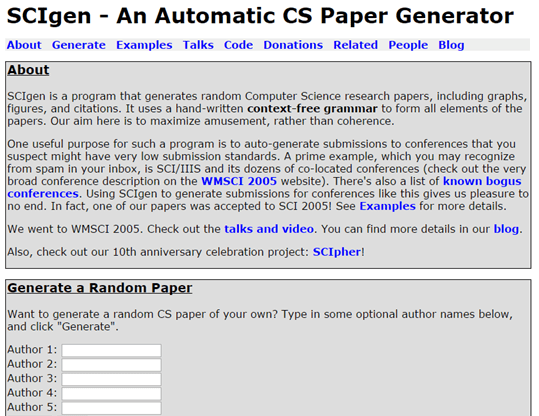 A program that generates random computer science-based content and presents it as an original computer science conference paper. A program that generates randomized content articles as content for webpages – needs to be downloaded and installed and results fine-tuned. This program requires sign-up. Provide a temporary e-mail address to prevent spam. 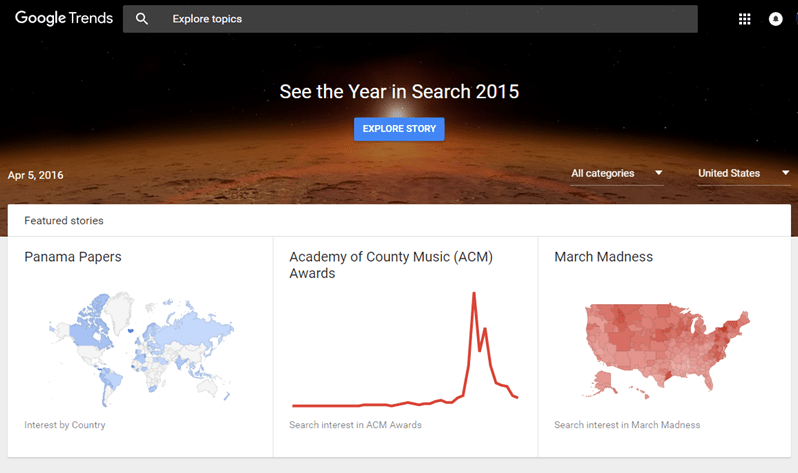 A summary of various Trend Categories – what Google users have been searching for most. A program that compares ranking of a website, for a given search query, across different search engines (might ask for registration after 10 uses – use Shift+Ctrl+N for Incognito mode). 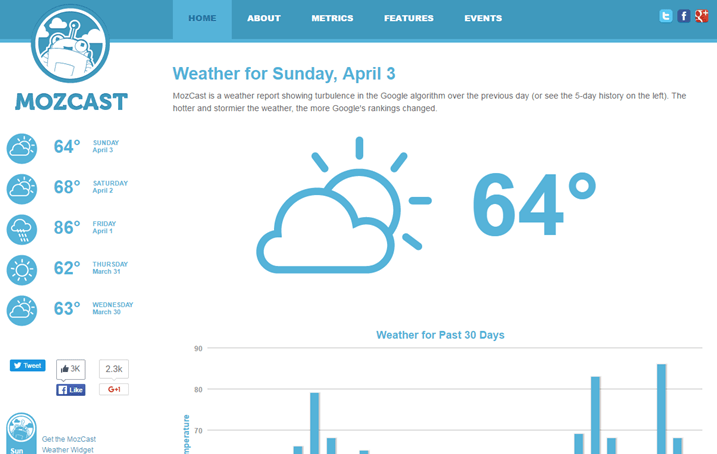 A “weather forecast” showing the density of Google algorithm updates as a temperature. 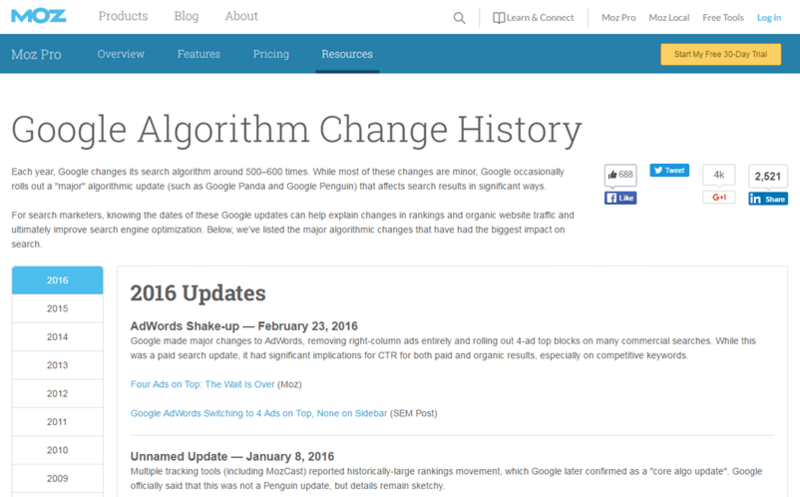 A detailed, regularly updated list of Google algorithm changes. 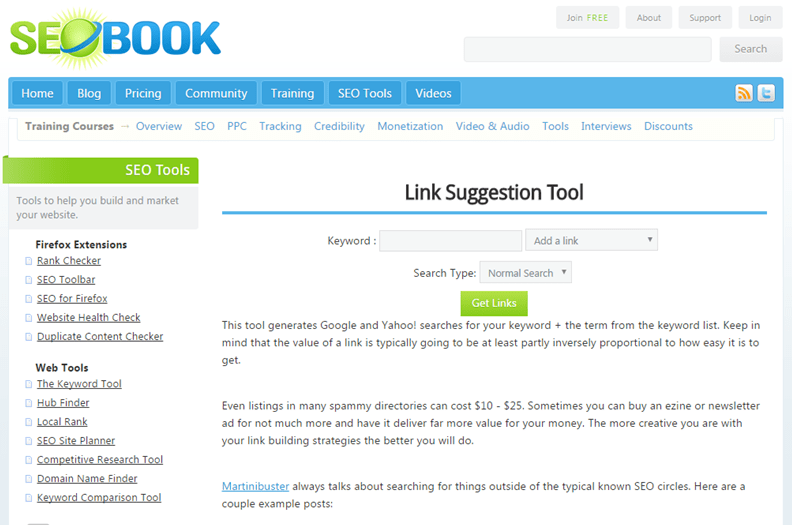 A program that generates ideas of where to start building links to a website. A program that indicates, amongst others, the number of inlinks to a domain. A program that extracts hyperlink coding from a webpage. A program that generates Yahoo! and Google search queries. 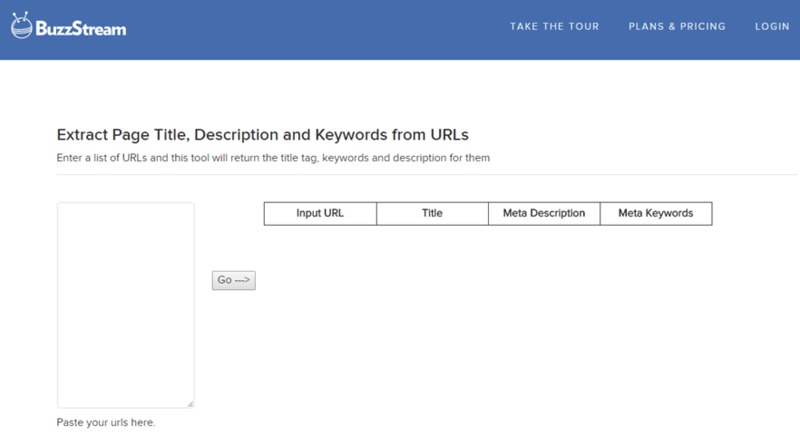 A program that extracts current meta-tags from a webpage. 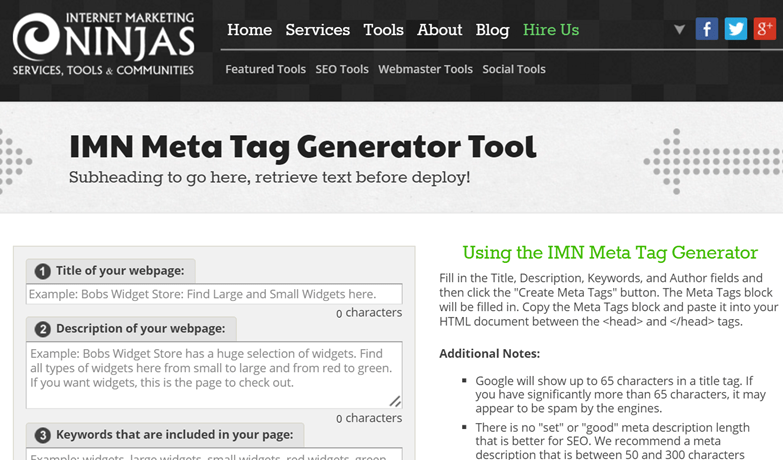 A program that generates meta-tags for a given webpage. 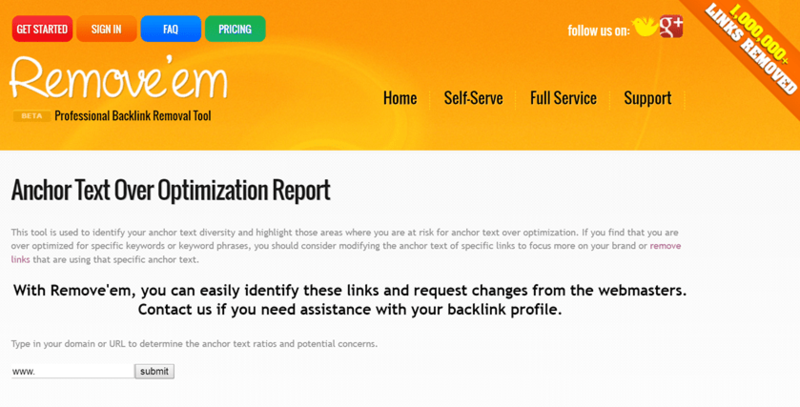 A program that evaluates anchor text, and warns against over-optimization. A program that measures the download time for a webpage. 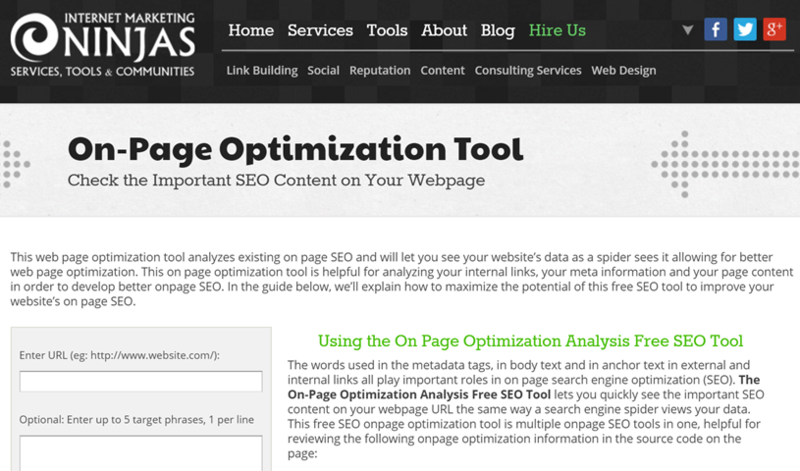 A program that measures website visibility by comparing what it finds on the supplied page to your key phrases. 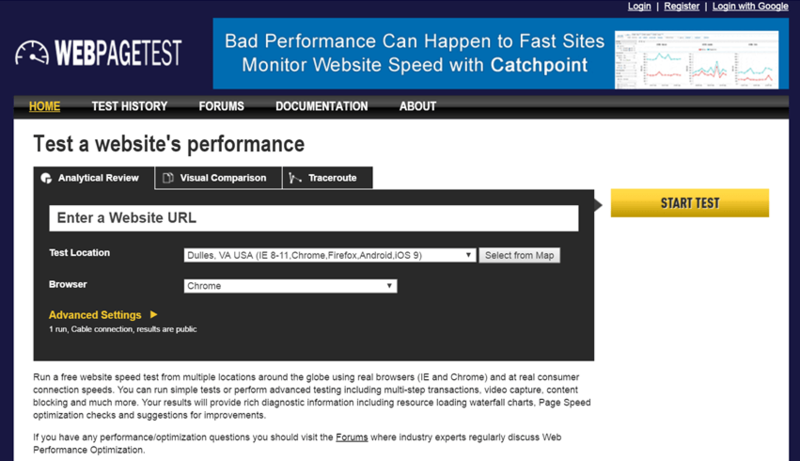 A program that measures website visibility by supplying feedback on various aspects of the webpage (resource intensive). 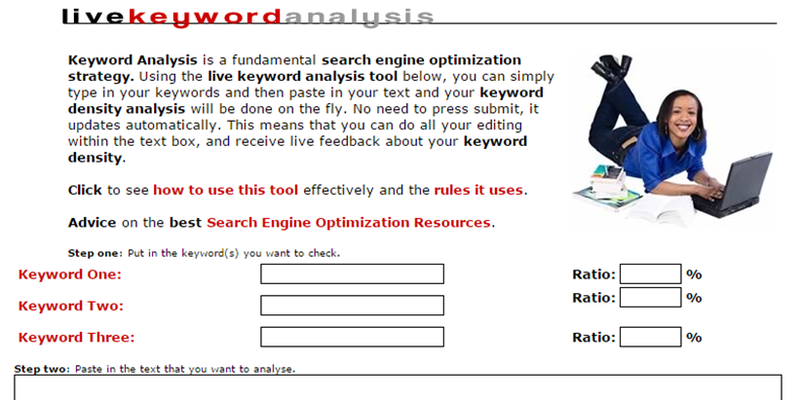 A program that measures website visibility by providing the code plus other feedback of the webpage. 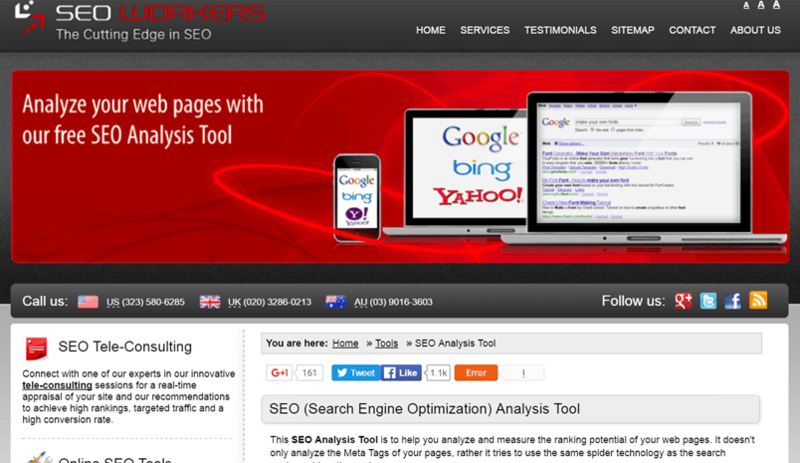 A program that measures website visibility by measuring and allocating percentages to many aspects of the webpage. A program that measures website visibility with much feedback, suggestions and videos to watch for each element. 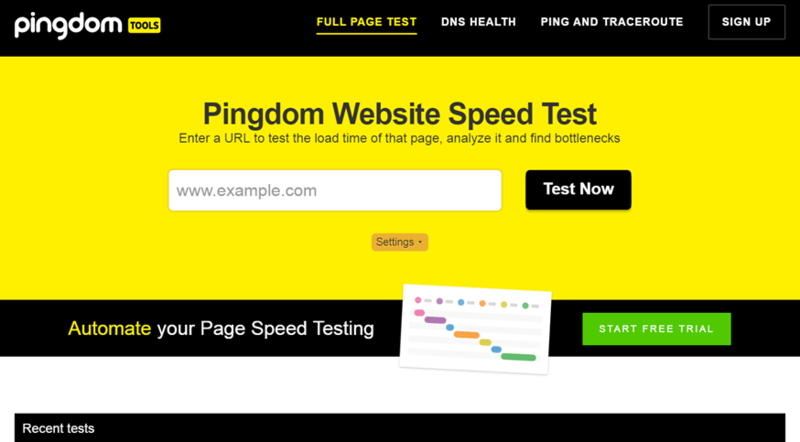 A program that measures website visibility with a list of technical issues regarding your domain. 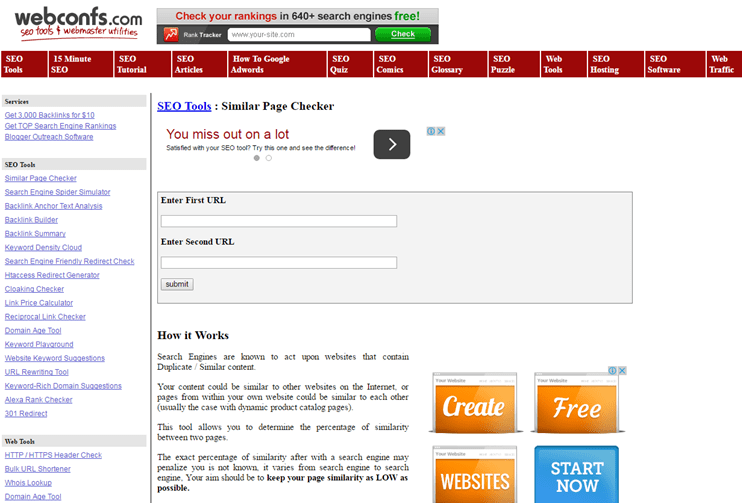 A program that measures website visibility with a list of elements to improve on the webpage. A program that measures website visibility through a report mailed to your address, with recommendations for every aspect. A program that measures website visibility through a display of coloured graphs to indicate status. 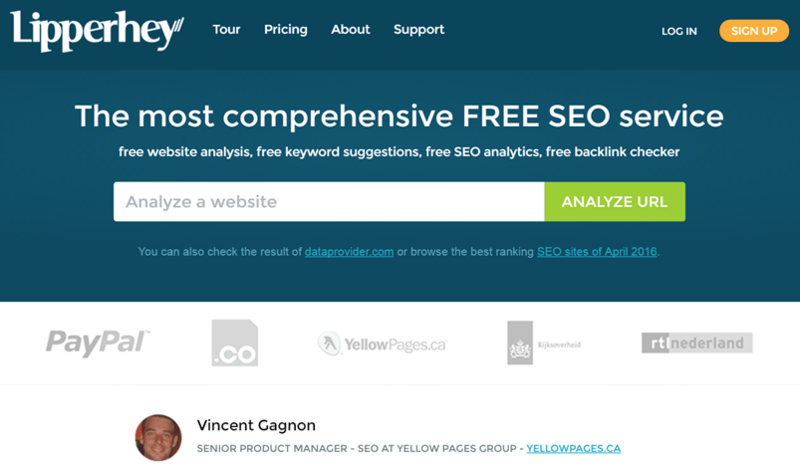 A program that measures website visibility, using waterfall graphs to indicate results. A program that measures website visibility through a report mailed to you, with recommendations for many aspects of the website. A program that evaluates: Meta-tags/objects/text-to-HTML ratio/download speed/image details/internal-external links, etc. 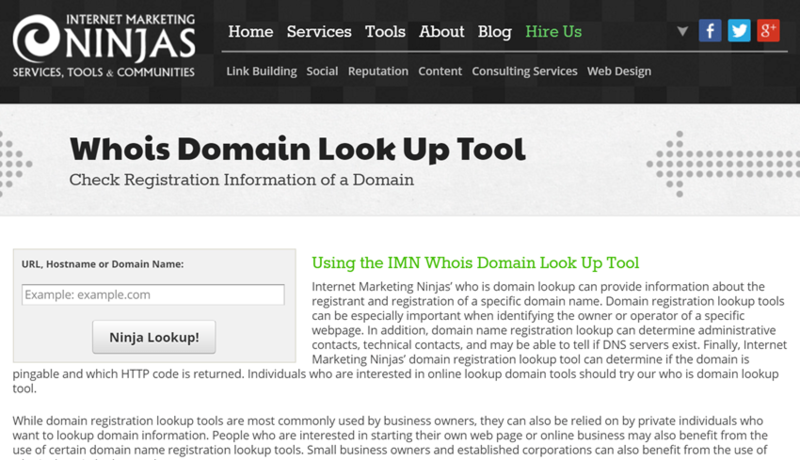 A program that identifies the domain owner and provides other relevant detail. 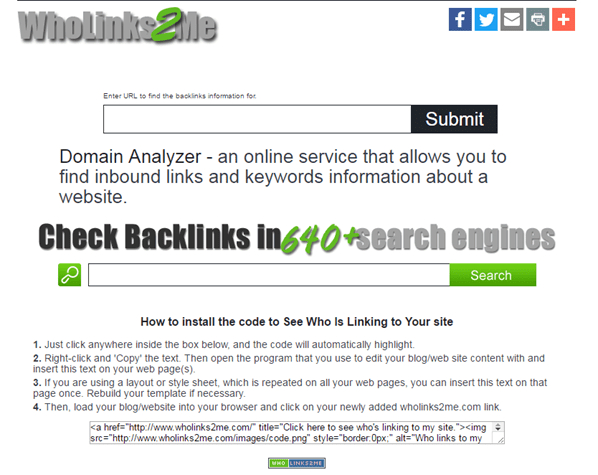 A program that identifies the domain owner and provides other detail. 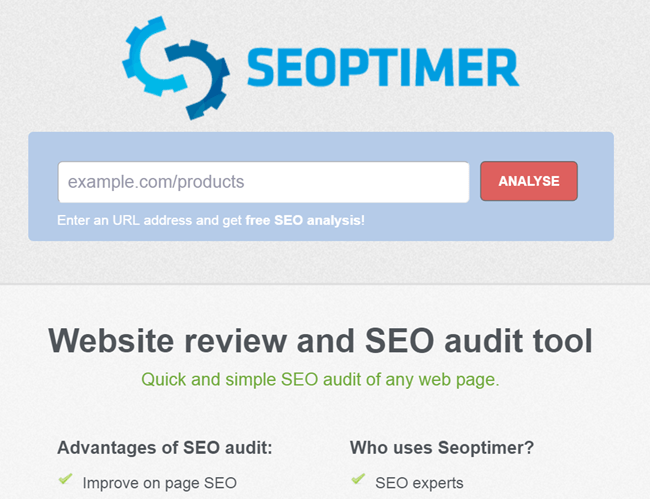 A program that checks various SEO related factors of a webpage. 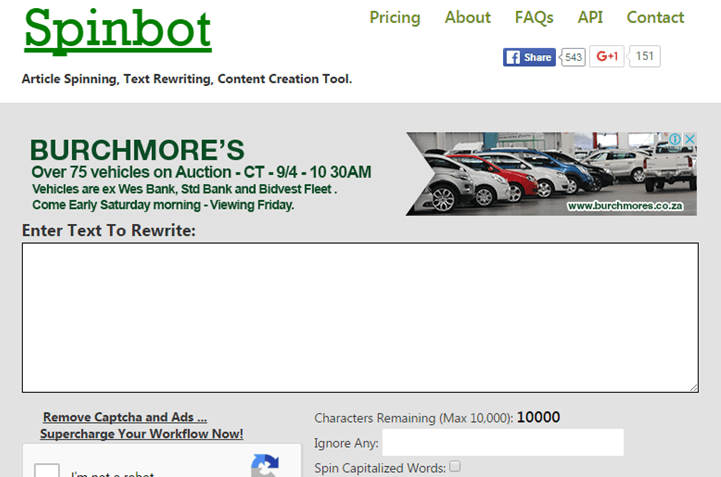 A program that calculates keyword density of text content for single and multiple-word phrases. A program that uses your supplied keyword(s) to generate a list of expanded key-phrases related to yours. 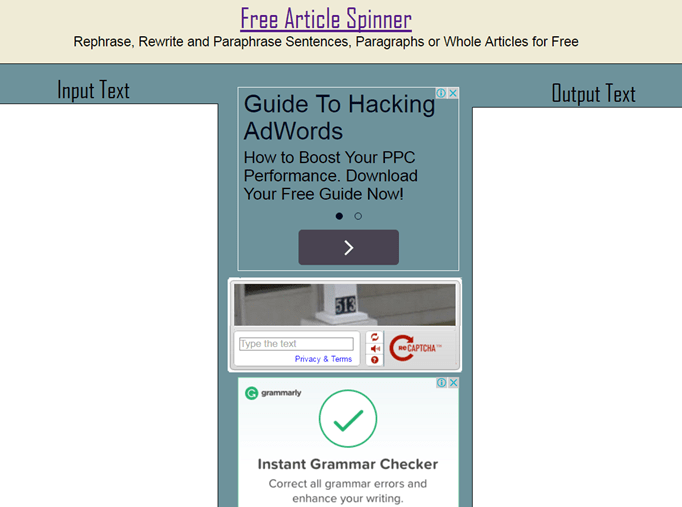 Ideal to use when writing content for a landing page, or when setting up a PPC campaign. A program that uses your supplied keyword(s) to generate a list of expanded key-phrases related to yours. 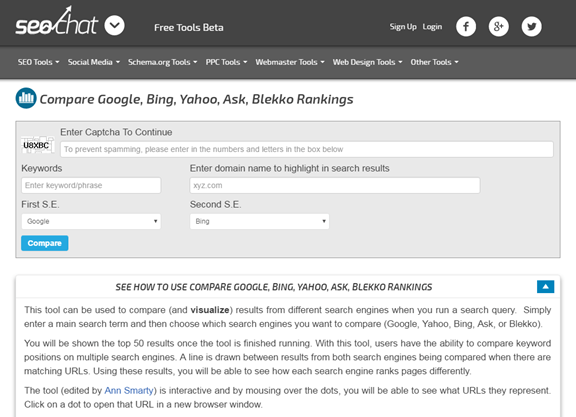 It has options to choose between languages and search engines. Ideal to use when writing content for a landing page, or when setting up a PPC campaign. A program that uses your supplied keyword(s) to generate a list of expanded key-phrases related to yours. It warns you when your keyword is too common, with too many results. 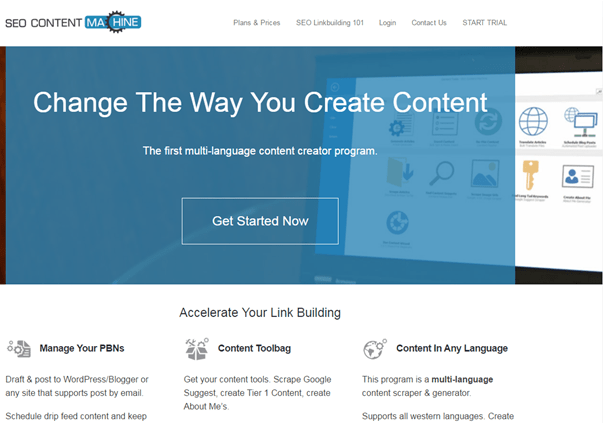 Ideal to use when writing content for a landing page, or when setting up a PPC campaign. A program that uses your supplied keyword(s) to generate a list of expanded key-phrases related to yours. It requires registration, but no payment. 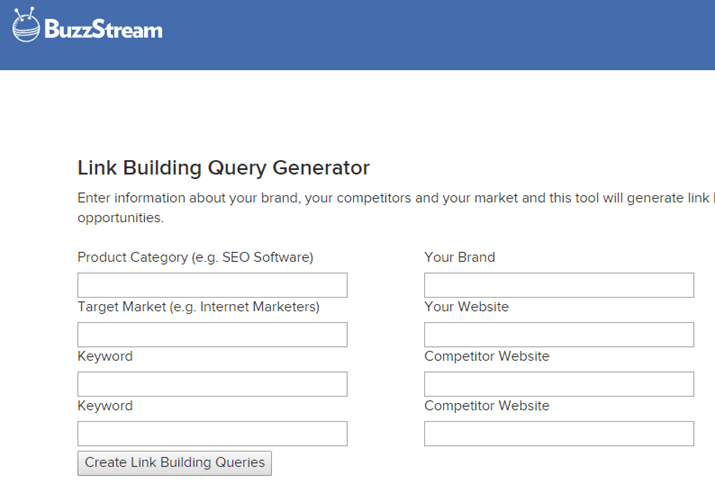 Ideal to use when writing content for a landing page, or when setting up a PPC campaign. A program that uses your supplied keyword(s) to generate a list of expanded key-phrases related to yours. 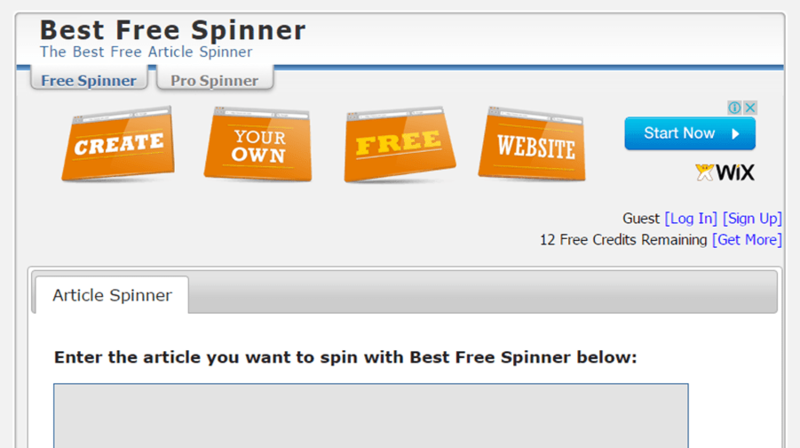 It also provides relevant websites and a lot of other useful information. Ideal to use when writing content for a landing page, or when setting up a PPC campaign.